1. 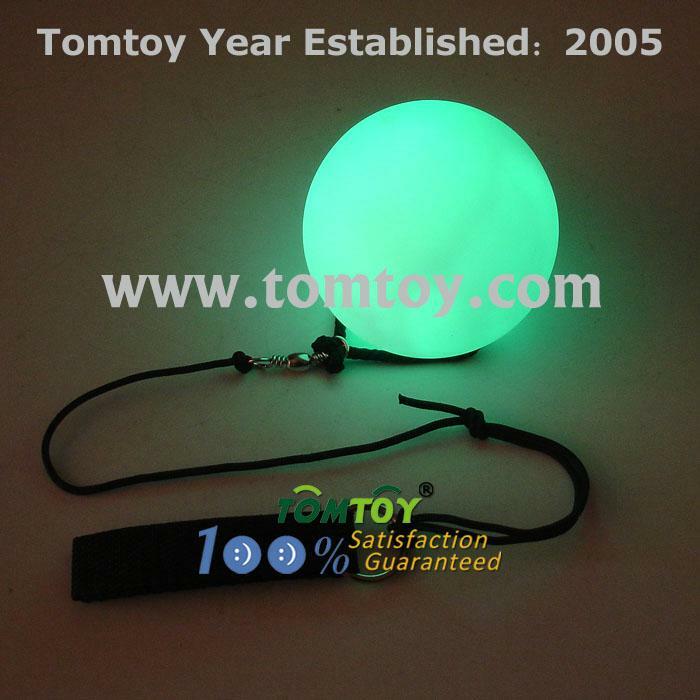 Glow LED Light Up Poi Balls are perfect for dancing and having fun with your friends or learning new tricks on your own. 2. The diameter of the ball is 80mm. Each ball has a small button on the top to turn on the LED. 3. The materials of the ball is very soft, safety for kids. 4. 9 Multi-function sets: 7 different solid colors and one 5 color Fade function and one 8 color Fade function. 5. We stand by our products 100%. We take our customers very seriously and make sure that our customers are 100% satisfied.